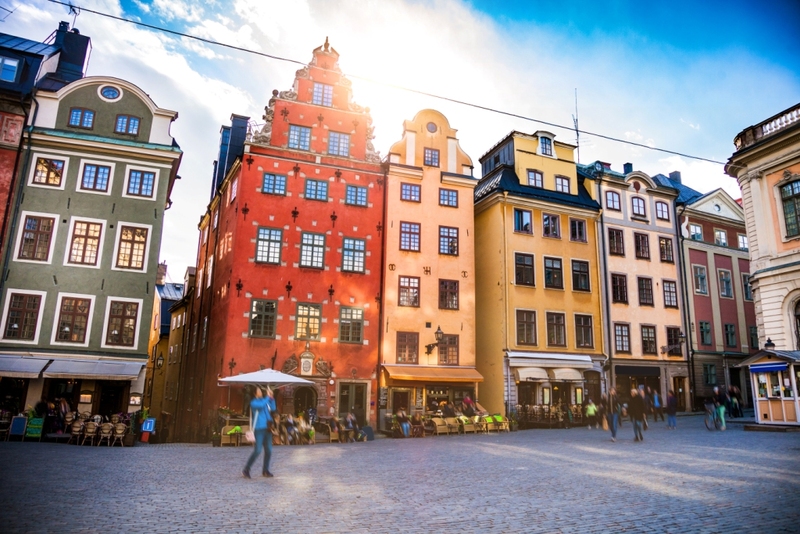 Once one of Europe’s poorest countries, in the post World War II decades Sweden evolved into a slum-free, affluent, egalitarian full employment welfare state, with a strong commitment to work for all and women's equality –the poster child of advanced welfare states. Income differences narrowed dramatically and poverty was nearly eliminated. Labor-management cooperation, high union density, high taxes and (except for a few years) Social Democratic political dominance, were the norms. A strong commitment to the welfare state and jobs for all eventually cut across political party lines. The Swedish accomplishment in building a fairer and more humane society is truly remarkable. Not surprisingly, Sweden’s success did not come automatically, but was the result of intelligent decisions made over the course of more than a century by Swedish statespersons dedicated to the common good. In this article we will look at the inception of social democracy in Sweden, and more particularly at the careers of Haljmar Branting and Per Albin Hansson, the two great figures of Sweden’s early social democratic movement. To place the development of Sweden’s social democratic polity in context we must go back to the very different conditions of the early 20th Century. The political right across Europe was still represented by large landowners and aristocrats, as well as the new titans of the industrial age. On the left, fringe parties dedicated to the ideas of Karl Marx made common cause with factory workers, convinced that the road to progress lay in replacing capitalism with a command-and-control economy under a “dictatorship of the proletariat.” In many Western European nations, bourgeois parties had made progress toward a leveling of political power with such measures as widening of the franchise, but the prevailing economic arrangements of laissez-faire capitalism were little changed from a generation earlier. This penchant for pragmatism set the Swedish left apart from socialists throughout the rest of Europe. Though he considered himself a true socialist, Branting had remarked in 1906 that then-contemporary socialism, while preserving the “essentials” of Marxism, “does not swear by the master’s words as infallible” and argued that increased political participation of the working class made it possible to advance toward socialism through democratic, as opposed to revolutionary, means. While socialist parties elsewhere in Europe, relying upon Marx’s theories, waited for capitalism to collapse from its “internal contradictions,” Sweden’s SAP committed itself to using the democratic process to ameliorate conditions for the average Swede. Under Branting’s leadership, the nascent SAP sought to advocate not only for the industrial proletariat, but also for the small farmers and middle-class workers scorned by doctrinaire Marxists. Universal sufferage was finally achieved in 1907, and the SAP’s pragmatic, big-tent approach increasingly appealed to Swedish voters: the party was the big winner in the 1917 parliamentary elections, gaining 31% of the vote as against the Liberal’s 27%. Again diverging from an orthodox Socialist International position, the SAP formed a government with the economically orthodox Liberals; working together, the coalition partners were able to defeat conservative and crown opposition and dismantle the remaining impediments to full parliamentary democracy. This decision to work with the non-socialist Liberals alienated the party’s die-hard Marxists, and they departed to form the Swedish Social Democratic Left Party. Then, when the SAP pushed for economic reforms beneficial to the working class, the Liberals bolted as well, inaugurating more than a decade of fragile and short-lived minority governments. Branting and Hansson had the good fortune to be surrounded by brilliant theorists who shared their pragmatic attitude to achieving a better life for all Swedes. Economist Gustav Moller stressed the need for increased economic production as opposed to mere redistribution of an inadequate economic base. Nils Karleby, whose book Socialism in the Face of Reality was highly influential in the Swedish labor movement, developed the important insight that the state need not own the “means of production” in order to influence society’s economic dynamics: government regulatory and tax policies could achieve the same effects without the loss of creativity attendant upon command-and-control economies. Finally, Ernst Wigforss, who served as finance minister from 1932 to 1949, applied a Swedish version of Keynesianism to stimulate demand during the Depression years. Under Hansson’s leadership, and inspired by these theorists, the SAP urged active state measures, such as work relief programs, to ease the impact of the Depression on average Swedes. Swedish voters responded enthusiastically: the SAP achieved 42% of the vote in the 1932 parliamentary elections. Reaching out to blocks shunned by other European socialists, like farmer-proprietors and knowledge workers (“it does not differentiate between . . . workers of the hand and workers of the brain,” Wigfors said of the SAP program), the SAP was to dominate Swedish politics for the next generation and beyond, building the mature social democracy that is so admired today. [Note] This article largely follows the account given in The Primacy of Politics, Sheri Berman, 2006, Chapter 7. Helen Lachs Ginsburg (Professor Emeritus Economics, Brooklyn College, CUNY) and Marguerite G. Rosenthal (Professor of Social Work, Salem State College, Massachusetts), The Ups and Downs of the Swedish Welfare State: General Trends, Benefits and Caregiving, http://newpol.org/content/ups-and-downs-swedish-welfare-state-general-trends-benefits-and-caregiving. Primacy of Politics, Berman, p. 157. Per Albin Hansson in speech to Swedish Riksdag, 1928, trans. Mary Hilson, The Nordic Model, 2008. WE'D LIKE TO HEAR FROM YOU Questions? Comments? Submissions?